Know Your Building Code! (3 hour) - Florida Contractor Continuing Ed. 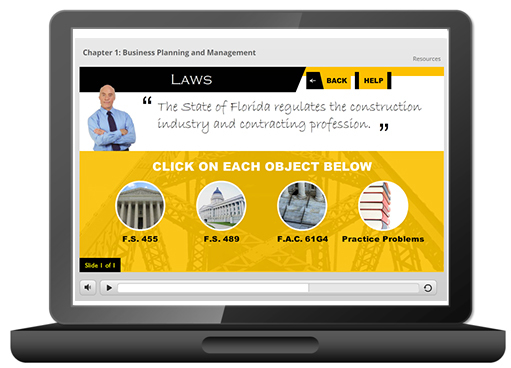 This online course provides a more abbreviated look at the Florida Building Code structure, volumes, and highlights contained in the Florida Building Code. Specifically, this course examines the Building, Residential, Existing Building, Energy Conservation, Mechanical, and Plumbing Volumes. See how the code chapters are interrelated and work together. This course also helps you comply with current codes to build a safer living and working environment.